It’s pretty obvious to summon the fact that you wouldn’t have clicked on this article if you have no understanding of the basics and intermediate level concepts of Python. You have? Then it is fair enough to go ahead with this article. You are confused with some basic stuffs, or perhaps forgot about it? I got you covered with my previous articles. Check out the notebook for beginners to make your base strong and then climb up the ladder with intermediate level notebooks which I have divided it in 2 parts (1st part and 2nd part) so that you don’t find it lengthy and get exhausted in the midway. Pandas will drop support for Python 2 from 1st January 2019. This comes after Python’s core team announced they will stop support for Python 2.7 from 2020 onward. Hence, start working on Python 3.X.X. As always, I have embedded the notebook at the end of the article. While writing this article, I faced issue in the code snippets — unable to print the Data Frames properly. So, it’s better if you go through the notebook rather than going through this article. For explaining some of the functionalities with pandas, I have used a Google Play Store data-set from Kaggle. The data-set is a Web scraped data of 10,000 Play Store apps for analyzing the Android market. I have performed some of the mentioned methods for each operation. Pandas is an open source data analysis library for providing easy-to-use data structures and data analysis tools. Series is a m*1 vector. Hence, each column in DataFrame is known as a pandas series. Other ways of importing data depending on the file type. df.itertuples() − this method will return an iterator yielding a named tuple for each row in the DataFrame. The first element of the tuple will be the row’s corresponding index value, while the remaining values are the row values. swapcase — Swaps the case lower/upper. lower() / upper() — Converts strings in the Series/Index to lower / upper case. len() — Computes String length. strip() — Helps strip whitespace(including newline) from each string in the Series/index from both the sides. split(‘ ‘) — Splits each string with the given pattern. cat(sep=’ ‘) — Concatenates the series/index elements with given separator. get_dummies() — Returns the DataFrame with One-Hot Encoded values. contains(pattern) — Returns Boolean True for each element if the substring contains in the element, else False. replace(a,b) — Replaces the value a with the value b.
repeat(value) — Repeats each element with specified number of times. count(pattern) — Returns count of appearance of pattern in each element. startswith(pattern) / endswith(pattern) — Returns true if the element in the Series/Index starts / ends with the pattern. find(pattern) — Returns the first position of the first occurrence of the pattern. Returns -1 if not found. findall(pattern) — Returns a list of all occurrence of the pattern. islower() / isupper() / isnumeric() — Checks whether all characters in each string in the Series/Index in lower / upper case / numeric or not. Returns Boolean. left − A DataFrame object. 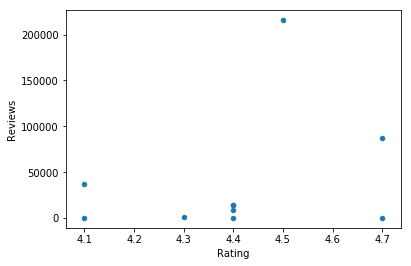 right − Another DataFrame object. how − One of ‘left’, ‘right’, ‘outer’, ‘inner’. Defaults to inner. Each method has been described below. on − Columns (names) to join on. Must be found in both the left and right DataFrame objects. left_on − Columns from the left DataFrame to use as keys. right_on − Columns from the right DataFrame to use as keys. left_index − If True, use the index (row labels) from the left DataFrame as its join key(s). In case of a DataFrame with a MultiIndex (hierarchical), the number of levels must match the number of join keys from the right DataFrame. 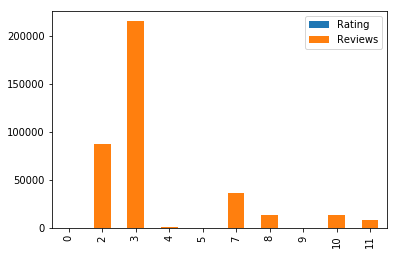 right_index − Same usage as left_index for the right DataFrame. sort − Sort the result DataFrame by the join keys in lexicographical order. Defaults to True, setting to False will improve the performance substantially in many cases. I hope you have liked this article. If yes, then do share it with your friends or colleagues who you think will be benefited.